These are truly custom kits, designed by us from the ground up. 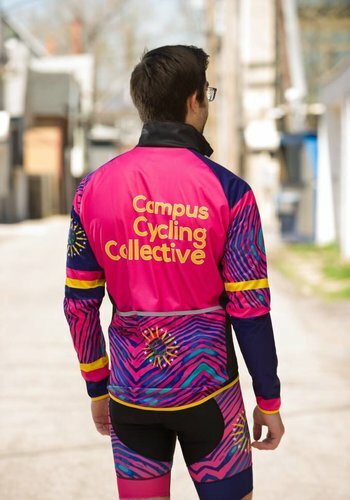 The design was done by Stunning Matt Dunning and then extensive testing was done by our group of friends from the Campus Cycling Collective, and our shop race team to bring out our best kit yet. 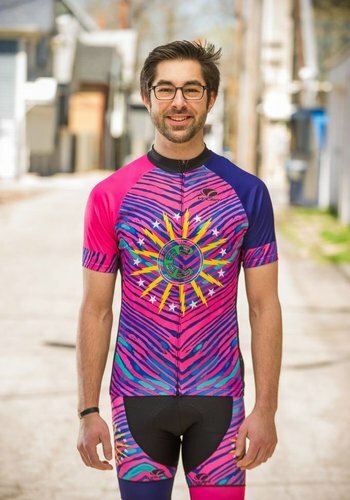 The design combines, zebras, the flag of Buffalo, NY, the logo of the Campus Cycling Collective, and our favorite colors, to make a highly visible, high performance kit. You will not miss our herd coming down the street. 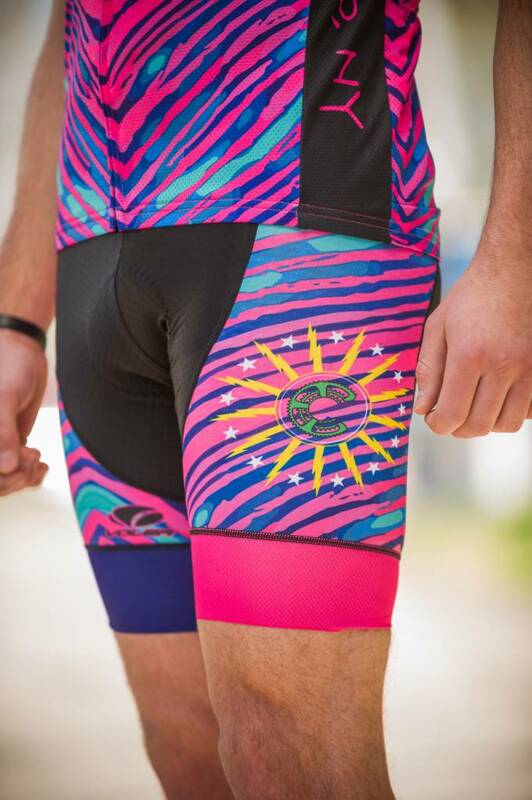 The bib shorts (or pedal-hosen as we like to call them) are constructed from seven body panels of Milano fabric and a highly breathable DryTech top. The seams have flat-lock stitching, for comfort, and performance, The leg bands are "power grip" to keep everything in place. Oh and the chamois, it's very nice. 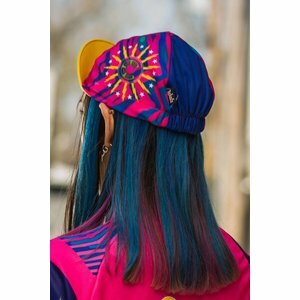 "Milano Spandex is milled in Italy from superior materials, including tightly knit fine yarns, increased elastane content, and surface texture for visual appeal. This combination makes for a lightweight, durable, visually opaque, and highly comfortable fabric. 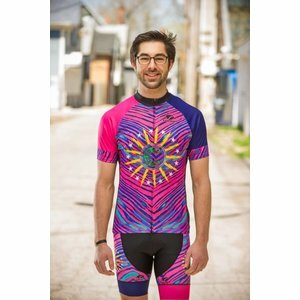 UV rated at 28+"
"The Elan chamois utilizes the latest in Skyve molding technology to produce a anatomic 3D shape for increased comfort and reduced friction while riding. The extremely smooth, seamless riding surface helps eliminate the chance of any pinch points. 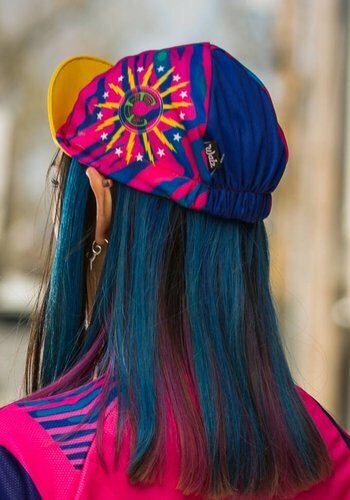 The layered construction uses multi-density foam, dispersed perfectly throughout the pad, to provide exceptional shock absorbing protection over rough terrain for up to five hours in the saddle." "DryTech aka AeroGrid features lightweight box mesh construction and is ultra-soft to prevent any chafing. Exhibits superior breathability and moisture management. Milled in the USA." "PowerGrip leg band. Made from form fitting, Silicone free Lycra fabric with 2-way stretch ability. Specially engineered breathable fabric with carbon-texture on the inside of the band guarantees an effective grip on your skin. With a balanced level of compression proportionate to muscle volume, these PowerGrip bands help prevent the legs from riding up and eliminate the sausage effect you can sometimes experience with standard leg grippers. The compression also helps improve blood circulation and body performance."